A meteorite is a bright streak of light in the sky, often referred to as a "shooting star" or "falling star" and it is simply material from the solar system falling to Earth. It’s not uncommon to see a few meteorites per hour on a clear night, and during a meteor shower you might see as many as 100 per hour. Most of these objects are relatively small and get vaporized by our atmosphere but some larger pieces ranging from the size of a boulder down to a pebble make it through and reach the ground. The majority of these objects come from asteroids, with a few being specifically attributed to the asteroid 4 Vesta. Some may come from comets and there are also meteorites that are of Luna (The Moon) and Martian (Mars) origins. So, a small rocky or metallic lump of material that travels through space is called a meteoroid. If they are very small (like the size of a dust particle) they might be called a micrometeoroid or “space dust”. As these meteoroids travel through our atmosphere at a speed of 10 to 70 km/second they are heated up by friction and this is what causes the long streak of glowing light when seen at night. All but the very largest meteoroids are quickly decelerated to a few hundred km/hour by atmospheric friction. If the object survives all this and eventually reaches the Earth, it is then known as a meteorite. Since the Earth’s surface is 71% water, most of these hit the ocean, and the rest are either spotted as they are falling or discovered by meteorite hunters after they hit the ground. Meteorites are fragments of asteroids which have fallen to Earth and scientists classify the objects based on their chemical makeup (the chemicals found in them), their isotopic composition (the specific types of each chemical element), and their mineralogy (the minerals they contain). Each of these classes can be divided further still, to categorize very specific types of meteorite. For example, pallasite meteorites are a class of stony-iron meteorites made of mostly nickel and iron, but also containing olivine crystals – a type of crystal which is common on Earth. The Hoba Meteorite. Weighing in at a whopping 60 tons, this is the largest known meteorite on the planet. It can be find right where it originally impacted in Namibia, Africa and is mostly iron with nickel and other trace elements. It struck down over 80,000 years ago and wasn’t discovered until 1920, but is now a National Monument with thousands of visitors every year. The Willamette Meteorite. This is the largest meteorite ever found in the United States at 15.5 tons and stands ten feet tall. It is a pitted iron meteorite which is believed to be the remains of the iron core of a planet destroyed in a collision billions of years ago. It landed around 1,000 years ago and was discovered by Westerners in 1902 – although it was long revered by the Native American Clackamas tribe as a healing source they called Tomanowos. The Sylacauga/Hodges Meteorite. Sometime in the fall of 1954, a 34-year old woman named Ann Hodges was napping on her sofa when an 8.5lb meteorite smashed through her window and struck her on the hip. She was bruised, but otherwise unharmed by the meteorite her neighbours described as a “fireball shooting through the sky”. The Allende Meteorite. This meteorite crashed to Earth over Mexico in 1969 and was originally about the size of a car before it broke into hundreds of fragments that weighed several tons in total. It’s one of the most studied meteorites of all time and a prime example of a carbonaceous chondrite. Dating back to the formation of the Sun and Planets 4.6 Billion Years ago, they are among the most primitive solar system materials known to man and are made of silicates, oxides, sulfides, water, organic compounds and various different minerals. A meteoroid is a chunk of space rock. If it burns up while entering the Earth’s atmosphere it’s called a meteor and if a piece lands, it’s called a meteorite. Millions of meteoroids travel through the Earth’s atmosphere every day, but most are small and burned up quickly. Very few reach the ground. When a meteoroid hits the atmosphere of the Earth, they can be travelling as fast as 130,000 mph (209,215 km). 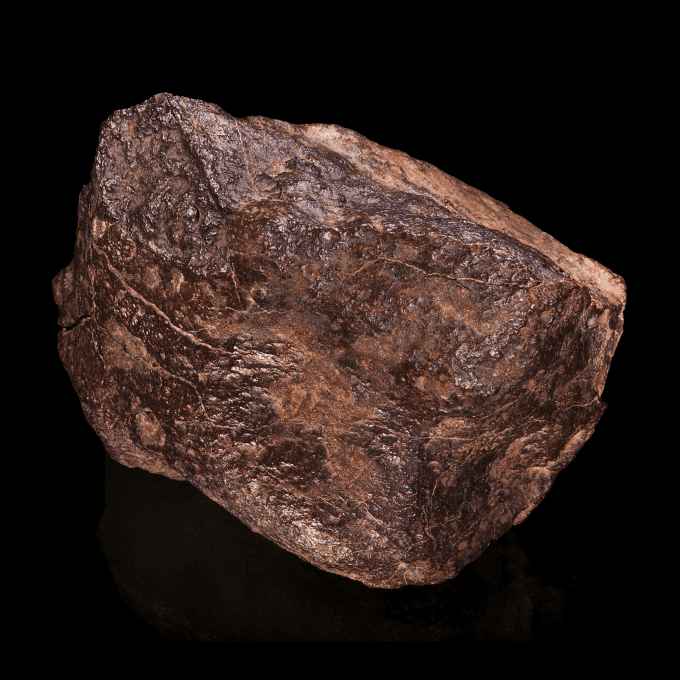 The buying and selling of meteorite pieces in South Africa is illegal. A meteorite that is seen or detected as it lands are called “falls”, with those that are discovered later being referred to as “finds”. Meteoroids more than 10 metres in diameter are classified as asteroids. Of the 500 estimated meteorites that reach the ground every year, only five or six are recovered for scientists to study. A meteorite will hit a human being once every 180 years according to a study by Nature done in 1985. With Ann Hodges the only confirmed person to be hit by a meteorite in 1954, that means the next time somebody will be hit by a meteorite is 2134 – an average of .0055 per year.